What are breast milk trays? Other than using breast milk storage bags and bottles, some mothers also use milk trays to store and freeze expressed milk. Breast milk trays may look similar to the trays used to make ice cubes. They also come with divided sections but, they aren’t completely the same. 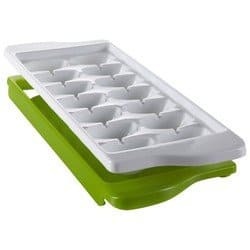 Regular ice cube trays aren’t designed to store and freeze breast milk, so they shouldn’t be used for this purpose. These breast milk trays are specially made to freeze baby food and breast milk. They are made of materials that are safe to be in contact with your baby’s food. These storage trays are eco-friendly and reusable. Breast milk trays are uniquely made from food grade materials that can safely store and freeze breast milk. Moms can use these trays not only for expressed milk but also for homemade baby food and other food items. These breast milk trays have lids to keep your milk and baby food from being contaminated. The lids also protect and cover the food items and milk to avoid spillage. Breast milk trays are very ideal if you are storing breast milk in minute amounts. These convenient trays let you store portions of expressed milk in smaller servings so that moms will be able to defrost only the needed amount of milk and avoid wastage. Freezing milk in small volumes also means that stored milk will freeze quickly and thaw fast as well. This shortened process will result in minimal nutrient loss due to freezing and thawing. Why use breast milk trays? 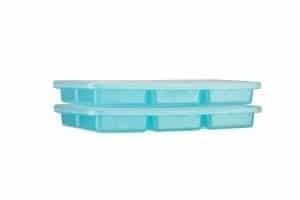 It is ideal to use breast milk trays since these trays let you freeze your expressed milk in single ounces or smaller volumes. Since you can freeze in a smaller volume, you’ll be able to thaw exactly just what you need to avoid waste. 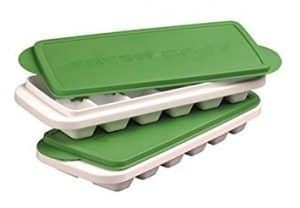 Unlike the regular freezing trays, these milk trays are made of food grade (some are even medical grade) that are specifically designed to freeze breast milk or baby food. These trays are also FDA approved to ensure safety for your babies. These milk trays are easier to work with since they are a lot more flexible than the regular freezing trays. Another plus when using breast milk trays is that you get to avoid severe nutrient breakdown since the milk freezes and thaws quicker. Breast milk trays help mothers save money and decrease waste. This magnificent milk storage gives many advantages but despite its efficiency, it also has disadvantages as well. Less expensive than glass or plastic bottles. Saves more space in the freezer since they are stackable and easy to store. Eco-friendly. Breast milk trays are washable and reusable. Lesser garbage and waste when compared to breast milk storage bags. If your babies have grown and stopped breastfeeding, breast milk trays can be repurposed for baby food, other recipes, or ice cubes. Breast milk trays let you freeze expressed milk in smaller portions, therefore, helping moms eliminate waste since you only get to defrost what you need. Expressed milk stored in trays will save you time since they freeze and thaw faster. Great for newborn infants when babies consume only small amounts of breast milk. Also great for when babies are starting to consume solid foods, the small sized portions will be perfect for mixing and thinning out baby food. Not ideal for storing large volume of milks. If you are a breastfeeding mom of twins or multiples, trays might give you a hard time. Pumping directly into breast milk trays is not possible. It will take you more time and effort to pump into the bottle and transfer the expressed milk into the tray. During feeding time, removing the frozen milk and transferring it to the feeding bottle might be inconvenient since you may need to use your hands. Touching breast milk increases the possibility of contamination. A single breast milk tray cannot hold much milk so you may need to secure several milk trays. Pour expressed milk from the bottle to the sections in the freezing tray. Don’t forget to close and snap on the lid to avoid unwanted spills and contamination. Stack and pile on your freezer. Avoid storing your breast milk with other products such as raw meat and fish. If needed or when you are ready to feed, pop out the frozen breast milk and place it inside the feeding bottle for thawing. Do not throw used freezing trays as they are reusable and will last for a long time. Frozen milk may be transferred to storage bags, if preferred, for longer storing. This food and breast milk tray is perfect for freezing servings of homemade baby food or breast milk. The silicone lid preserves fresh flavors, textures and nutrients and helps prevent contamination. The Fresh Baby so Easy baby food storage tray is a completely plastic free option for baby food freezer storage. It is made of made of 100% food grade silicone, BPA, phthalates and lead free. This milk and baby food tray is designed to simplify feeding your baby and reduce wastage of baby food or breast milk. Helps reduce waste, since you defrost only what you need. Flexible silicone tray allows easy removal of food and milk cubes. These freezing trays are stackable so you get to save more freezer space. They are dishwasher safe, microwav safee, and freezer safe. The so easy silicone baby food storage tray makes 8 serving cubes. Milk frozen in trays defrost quickly so they are great for thinning baby food or adding to cereal. Food grade silicone will not support the growth of fungus, mold or bacteria. It is odorless and tasteless, microwave safe, dishwasher safe and heat resistant. BPA, phthalates and lead free. Capacity of each cavity: 1 oz. 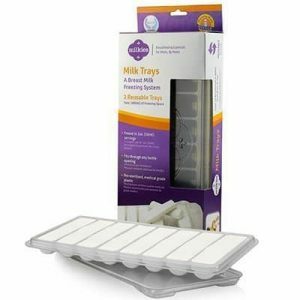 Milkies milk trays is a breast milk freezing system that can help to make your milk storing easier. At first glance, milk trays look similar to typical ice cube trays. 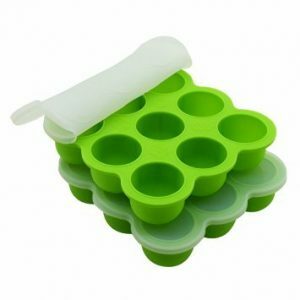 Unlike ice cube trays, these trays are specifically designed for expressed milk. Most importantly, Milk Trays are made from food-safe plastic that is BPA and phthalates free. These milk trays also are free from dyes. The trays by Milkies comes with fitted lids that protect your expressed milk while avoiding spillage. These lids also allow you to stack them inside the freezer to save more space. The trays by Milkies are also very flexible so that moms won’t have a hard time taking out the frozen milk. Like all other milk trays, these ones by Milkies are also reusable, making them very economical and environment-friendly. Moms will also be able to use these trays in freezing homemade baby foods once the little ones have gotten older. Just like milk, making a batch of baby food from healthy fruits and veggies, and freezing it for later use is a great way to be sure you have food ready for your baby when you need it. Helps reduce waste since you defrost only what you need. The frozen milk fits in all feeding bottle openings for a hassle-free transfer and prepping for thawing. Trays are made from medical-grade plastic and are BPA free, phthalates free, and no dyes. Easy to wash and hand-washing recommended. Easy to use and work with since these trays are flexible. Saves a lot of freezer space. These freezer trays for your expressed milk have individual sections which pop out easily. Lids that fit securely also comes with these trays for easy storage and stacking. The lids also help in keeping breast milk and homemade baby food fresh for a longer period of time. Other than being very easy to use, these trays are also very easy to wash and clean. Simply place on the top shelf of your dishwasher for easy cleaning, they are also great when hand washed. These SMART trays conveniently freeze your breast milk and more in this space-saving stacking tray design that won’t overload your freezer. Easy to use and the frozen milk pops out easily. BPA free, Phthalate free, lead free and PVC free making it completely healthy and safe for your baby. 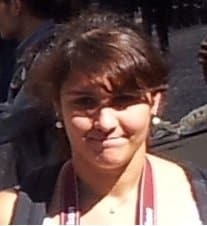 Capacity of each cavity: 3 oz. and 1.5 oz. The Samuelworld Baby Food Tray is divided into twelve portions. You can store not only breast milk but also twelve different kinds of baby food, classified storage, and independent adjustment of the quantity of each case, very convenient and practical. This product is equipped with high quality silicone lid, easy clip on can make food from air, keep fresh in the refrigerator a long time. The lid being made of silicone instead of plastic which is soft and bendable. You can easy remove from the tray and easy clip on, and the tray will be hermetically sealed when clip on, for prevent any contamination and food spillages. The tray covered can be stacked in the refrigerator, save space, easy storage. High quality food products do not adhere to the physical, easy to take out. Easy to clean, safe in the dishwasher. The products are FDA approved and free of BPA, PVC, lead, phthalate, and other toxins, making them completely safe for babies. These trays are very easy to use, just one push at soft silicone bottom to pop your frozen breast milk out. It’s dishwasher safe but cleaning is so easy that even rinsing with water will suffice. Lid keeps frozen baby food fresh longer. Silicone is naturally bacteria, odor and stain resistant. These storage trays can also be used not only for breast milk storage but also for baking, for making ice cubes, ice popsicles, and even as a chocolate mold. Virtually anything you need to bake, freeze or store. Free from BPA, PVC, lead, and phthalate. Easy to store and easy to clean. Dishwasher friendly. Capacity of each cavity: 2.5 oz. Freeze perfect portions of homemade baby food with the OXO Tot Baby Food Freezer Tray. A patented cover lets you release one cube at a time. A patented cover lets you release one cube at a time or as many cubes as you need. The innovative tray design releases cubes easily, and the cover also makes it easy to stack multiple Trays, and eliminates freezer odor from permeating your cubes so baby food stays fresh. The tray is built to release cubes easily, while the flat, colorful cover lets you control how many cubes are accessed at one time. Dishwasher safe, the Freezer Tray and lid are designed to keep freezer odors from absorbing into the contents, and, once the lid is on, it can be easily stacked along with other freezer items. With the OXO Tot tray, the frozen milk and treats remain safe and accessible. The colorful OXO Tot Baby Food Freezer Tray is ideal for freezing expressed milk or your child’s favorite pureed foods. Featuring an innovative tray design, the Freezer Tray consists of rounded-cube shapes, making it easy to slip out the cubes without tipping the Tray over. The flat, bright green cover lets you release one cube at a time or however many you want, and once sealed it prevents freezer odors from permeating into the Tray’s contents. When covered, the tray is easily stackable with other freezer items, and can be taken apart and slipped into the dishwasher for convenient cleaning. Uniquely designed lid for easy releasing of frozen milk or baby food. Capacity of each cavity: 0.75 oz. The Baby Bliss baby food and breast milk tray is reusable while being absolutely safe to use as it’s free from harmful substances and dangerous toxins. Like all other milk trays featured in this article, this can be used again and again, avoiding needlessly filling landfills sites, small steps you can take in helping to preserve our environment. Both of the tray and the lid are made of high-quality food grade silicone, which is not only stain resistant, but bacteria and odor free. FDA approved, BPA, PVC, lead and Phthalate free, so mothers are rest-assured that the freezer tray is absolutely safe for your baby and your family. These trays are very to use. With its nine cavities of a perfect 2.6oz capacity, the Baby Bliss tray allows you to create perfect portion sizes that easily POP out. Hot food can be poured directly into the tray without fear of cracking. The additional silicone lid allows the tray to be sealed, not only being hygienic but avoiding spillages and is easily stackable in a freezer. Its dishwasher, oven, and freezer safe. The tray by Baby Bliss will continue to serve you and your baby’s changing needs. From storing breast milk to early purees, chunkier foods to proper meals, a tray for finger foods, suitable for making ice pops, jellies, mousse and chocolate molds. It’s oven safe so you can even use it to bake cupcakes and muffins. Safe to use. BPA, PVC, lead, and Phthalate free. Made of food-grade silicone that is bacteria and odor free. Capacity of each cavity: 2.6oz. Avoid wasting breast milk by storing it in smaller volumes using breast milk trays. Leave room or space and do not overfill. Store milk in the back portion of the freezer so that the milk will not be easily affected by temperature change when the fridge door opens and closes. To trace which one to use first, label milk and keep them in order. Never mix warm milk with cold ones. Swirl and never shake vigorously. How do I get the milk out of the Milk Tray? When removing the sticks from the Milk Tray, the tray needs to sit out for a few minutes to thaw slightly. Don’t be afraid to bend the tray when removing the milk sticks. Even with bending, this tray will not break because it is designed to be flexible. If you want you may use tongs when transferring the frozen milk, but using your hands are easier. Just make sure that your hands are squeaky clean before doing so. How should I collect milk? Mothers should collect pumped milk all day and store it in the refrigerator. Then, at the end of the day, put all of the days’ worth of pumped milk into the tray to freeze overnight. Remember, it only takes roughly 5 hours for the milk to freeze, so if you need to freeze more milk than just the two trays each day, you can freeze them and transfer them to a bag a couple times a day! How long does it take for the milk to freeze? Its takes about 4 to 6 hours for breast milk to freeze in the breast milk tray. How long can I store my milk in the breast milk tray? Keep your milk in the tray for no more than 48 hours – recommended. How long can I keep the milk cubes/sticks in the freezer? Once transferred to a bag, storage recommendations for frozen milk should be followed 6 months in a regular freezer. What is the best way to thaw the milk sticks? When you need to reheat milk for your baby, pull out the exact number of milk that you need and place them in a bottle or cup. How should I wash the breast milk tray? Do I need to sterilize the breast milk tray before using? It is not necessary to sterilize your Milk Tray. We recommend hand washing and drying the milk tray before use.